I love that Ford Motor Company did not become another "Government Motors" company back in 2009, with all the bailouts that happened (GM and GMAC $51 + $17.2 billion and Chrysler $12.5 billion). And, while there was $5.9 billion given as a loan, Ford was required to move toward more green (and electrified) options AND pay the loan back by 2022. Plus, Ford didn't want there to be an unfair advantage for the other two companies, with the huge amounts of bailout funds being thrown at them, so they took the loan. Ford did what should be the norm, by looking at ways to save money, they became more responsible and well-run; in lean times Ford cut costs. A re-evaluation of what you're doing and how you're spending money seems logical during tighter financial times. And now, with better times returning, it's time to start making bold moves and creating more exciting products for the consumers. 1. In 2015, my wife and I were in the market for an SUV. The Ford Expedition was our goal, but ultimately its cheap materials, tired model, and boring feature list caused us to move to the most popular SUV on the market, the Chevy Tahoe. 2. With the recent announcement of a "pursuit rated hybrid" based on the tiny Fusion, and all the subsequent comments bashing the car on Ford's Facebook announcement, the joke that is that car was obvious to me (and many) and led me to want tweet about it. So many people agree that the Fusion-based hybrid is not what real cops want. 3. On a positive note, the new 2018 Lincoln Navigator, shown at the New York Auto Show, looks great. This vehicle is bold, beautiful, and hopefully as feature rich as it looked from the show. If I WERE CEO of Ford Motor Company my initiatives would be focused on Product and Materials Quality, Model Refresh Rates, Bolder Designs and Advanced Technologies, Electrification, and, because of what I do now, the Police Interceptor. The first thing my wife and I noticed when checking out the 2015 Ford Expedition was the plastics, fabrics, and carpet used on the inside; it all felt cheap. 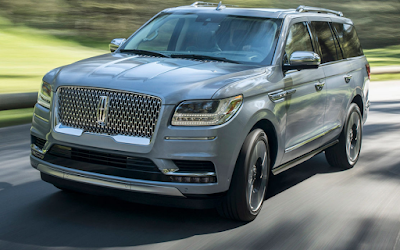 We moved over to a 2015 Lincoln Navigator, hoping to at least find higher quality materials, with no luck. The dashboard material used in my old 1999 VW Golf was some of the best I've ever felt in an inexpensive car. They used a soft touch material that didn't fade over time and held its quality feel. My 2008 Nissan Altima has a similar feel. Ford's product was very rigid and felt cheap. The carpets, especially on the fold down rear seats, looked bad after just a few items were placed in the back and rub across the caroet (in the case of the new vehicle, just the new floor mats). The carpet looked frayed and worn. The cloth seats seemed to create static and the leather version already showed wear creases. Ultimately, the Chevy Tahoe offered the quality we were looking for in the LT model, and it became the default option. If I were CEO, I would move to softer touch plastics/rubbers, higher quality fabrics and leathers, more durable carpets, and tighter finishes on seams and stitches. I'd install dark flooring carpets, to better hide dirt and spill stains, while using stain resistant materials with a tighter weave for durability. I would shift away from too many options and use color palettes that allow for better matches to the paint schemes across all lines and model options, likely offering a couple cloth and a couple leather options for all models. Wood grains options would be similar to what is found in today's models but would be more generously used in the luxury models. I'd also give more options for brushed metals in the trim pieces. I would continue to find and use materials that are strong but light, while being reusable. I would continue to use aluminum, as Ford has done in the F-Series and the future Expedition/Navigator; I think it's a great move. I hope that eventually, the production and recycling process for aluminum and other materials helps with resource preservation. Reusable materials would also mean fewer junkyards full of rusting toxic piles of waste. I'd work to model product production with the use of renewable resources, similar to what Apple, Inc. is doing, including the marketing aspect of "being green". I would move the timeline for refreshed models to every 3 years, with completely reworked versions being closer to every 6 years. As mechanical technology advances, like the horsepower and torque figures coming from V6 versus V8 engines or steel versus aluminum bodies, refreshes and full redesigns may be able to occur more often. I would not let a model or design become stale, like the 2007-2017 Expedition. This third generation's tired look can only be losing Ford sales numbers to GM and other SUV manufacturers. With each model year refresh, minor changes and options would be offered. From fabric and exterior colors options to technology advances and convenience options, ongoing improvements would be implemented. Learning from what dealers see and hear from customers, along with reviewing customers', enthusiasts', and journalists' feedback, would direct changes and improvements with each updated version. We would learn from feedback and move forward, each change benefiting the overall quality of the product. Product design would be heavily built around feedback from concept models, which would be built and shown at auto shows around the world. Allowing creativity and ideas to be shown and shared, would offer the company room to produce bolder and more exciting models for the consumers. A streamlined approval process would be developed to move concepts surrounded with excitement into production versions. While design teams would still come up with unique ideas for the direction of the brands' major product lines, teams working on fun, creative, and nostalgic ideas would also be part of the direction for future models or company-wide design themes and cues. Concepts that show a lot of public excitement would be given more focus and potentially moved into production. 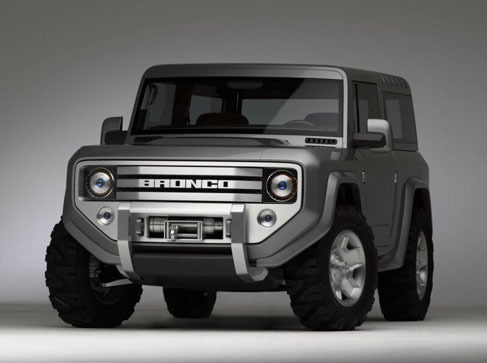 An example of a missed opportunity is the 2004 Bronco concept. If I were CEO, vehicles like this Bronco would have moved to production and retained the retro styling that makes it an exciting hope for many enthusiasts, while still being build to suit a wide group. I often think about what the VW Beetle redesign did for Volkswagen. While making sure form and function work together, careful consideration would be made to the parts of a vehicle that draw in consumers and keeps them coming back. the 2004 Bronco design (shown below) still looks really fresh and bold. Along with the recent enthusiast design (also shown below), the 2020 Bronco has a lot of potential to be great. But Ford could also mess-up big if they don't take note of what excites the consumers. 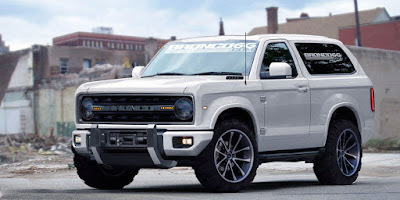 IF they play it safe and present somthing that follows their current designs, the 2020 Bronco will miss. 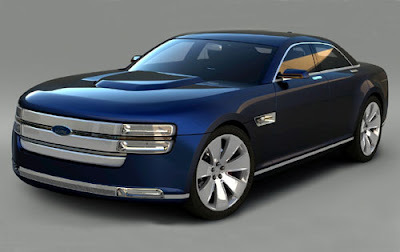 I think of vehicles like the Dodge Challenger and Charger. These vehicles are exciting to see and have a lot of visual appeal for consumers, while also being very capable and usable vehicles. The California Highway Patrol added 159 Chargers to its fleet of police vehicles, for example. No more with the boring designs; boldness needs to be brought back to automotive designs. No longer can you tell a Honda from a Toyota from a Chevy from a Ford. They all look the same. No one is designing beautiful, exciting, bold, risk-taking vehicles. At the 2007 NAIAS, Ford showed a concept for a new Interceptor, which I hoped was the future for the Crown Victoria. It was something that could have been classified as bold and exciting, like what Dodge is doing. But this design never happened. Instead, a Ford Taurus reappeared. And, while I liked it initially (see this article), it's now tired too. The Interceptor design, with some tweaks, would have sold to the enthusiast and to law enforcement alike. Combine this with a powerful engine (think Coyote) and driving technologies like all-wheel drive or traction controls and assisted driving features, and Ford would have knocked one out of the park. In-vehicle systems need to work so much better. 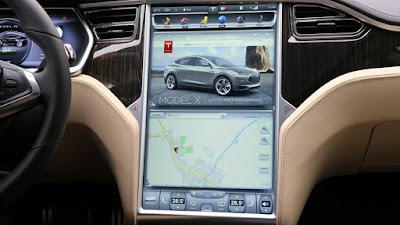 I would throw in an iPad type/sized device, with its touch capability and computing power, to advance infotainment to the next level. I would work directly with Apple and Google to offer a device that runs iOS and Android right in your dash. It would be so simple to limit the functionality when a car is put into drive, as both already have limited versions of their operating systems, with CarPlay and AndroidAuto. Add the addition of access through mobile connectivity, either wirelessly through a tethered device or from in-car connections through any carrier, and mobility apps and mapping software power become limitless. 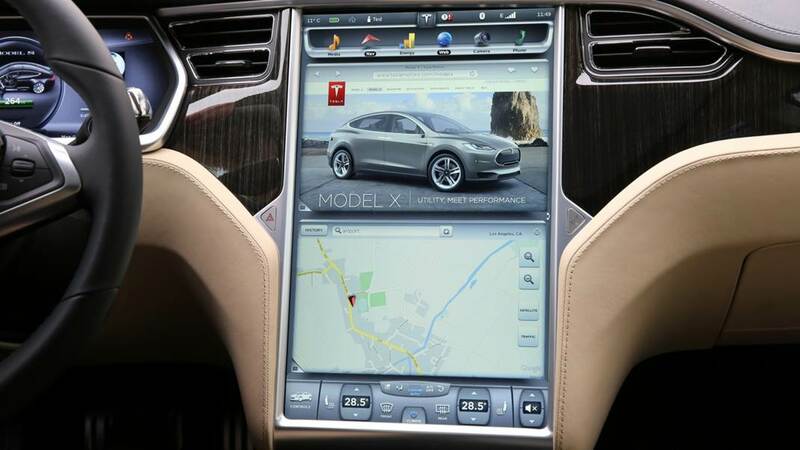 Tesla is already using a HUGE screen to make this a reality, and the functionality is second to none. Speaking of Tesla...why hasn't any other automaker been able to produce the battery life and power that Tesla is producing? A tiny and resource-limited company, in comparison to Ford, Tesla is doing what all the big automakers refuse to do. They are making battery powered vehicles with realistic usability a reality. And, although the details are a little fuzzy for me, Tesla offered anyone the opportunity to copy many of its patents to further the green electrified vehicle production. This means, we could have more options for battery powered vehicles, designed by many more people, and potentially more discoveries could be made to help increase range, power, and efficiency. I would focus more energy on useful hybrids and all-electric vehicles. I would break the relationship with big oil that, I'm assuming, drives the decision not to move strongly toward electrification. If the car has both a battery-powered motor and a fuel-powered engine, I'd work harder at using the engine to charge higher performing batteries, rather than being needed to propel the vehicle. I would work to find ways to reduce the time needed to recharge batteries, and I would work to increase the traveling distances on a single charge. I would work on solving and crossing into the 500-mile range first. I believe a Tesla's Model S is already close to a practical every-day vehicle, and it's done without any fuel-based engine. Where did the Crown Victoria go? Why did it have to die? Real cops don't want a smaller vehicle. Many agency moved to the Chevy Tahoe for power, strength, and size. Real cops want room for equipment, comfort for themselves, and driving capabilities from their vehicle. 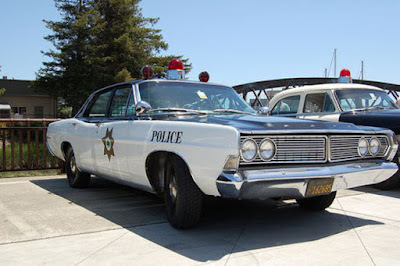 First, the Crown Victoria/Police Interceptor did a lot of things right or almost right. It was a bigger vehicle, with an established look and stance. There was room for taller driver, with an okay amount of room for an arrestee in the back. It had a great trunk, with a deep well for equipment, bags, paperwork/forms, etc., a shelf area for computer equipment, and still room for a full-sized spare tire. It was rear-wheel drive, which allowed capable/skilled drivers to use drifting and other techniques to maneuver the big vehicle. The CV/PI was lacking in a few areas. The engine was weak and not very efficient, although it lasted through the abuse it took 24 hours a day. And, although big, the interior could have offered a bit more room for both driver and passenger, especially after all the equipment and cage were installed. While recognizable, the exterior design was very stale and didn't draw sales from non-law enforcement or taxi consumers. Interior area would be focused on accommodating larger/taller body types and equipment needs, typically found in law enforcement. Additional attention would be placed on making sure decent room is available, even when optionally installed cages and computers are present for LEO and taxis applications. For consumer applications, the powertrain options and room requirements would afford luxury style room and power. Along with the nostalgia and enthusiasts' love that would come from the Gran Torino name and the car's bold looks, this could be marketed as a luxury (flagship) or large muscle car (similar to Dodge's Charger/Challenger cars). From base models, with aftermarket modifications in mind, to top of the line options, with luxury as the focus, the applications for this design are endless and would allow for more consumers to get excited about the return of this dual application vehicle. IF I WERE CEO of Ford, I would continue to build on why many people respect the company. After making moves to reduce costs and strengthen the company without TARP money, I would lead Ford toward products that were built with higher quality and reusable materials, with bold and fresh designs, filled with power, efficiency, and the latest technology, and return to the days when enthusiasts filled with nostalgia got excited to see the next thing to come from Ford Motor Company.